Lack of consistent access to adequate food is a problem 2 million Arizonans are faced with every year. In Arizona, nearly 30% of our neighbors are considered working poor, living on wages that barely cover housing and other basic necessities. 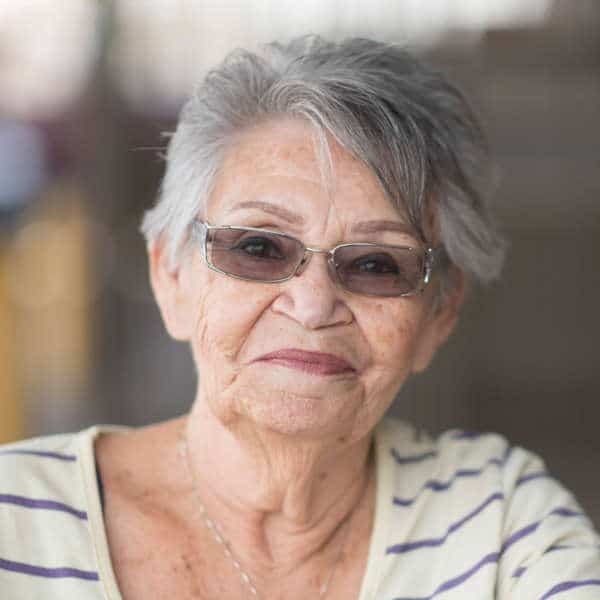 With little money to spare for food, many in our community — friends, family, coworkers — often go without food for meals at a time and have no other choice than to purchase the cheapest, sometimes expired, groceries to feed themselves and their families. Poverty is a very real problem for Arizonans, but together we can find a way to ease the burden on our hungry neighbors. Help end hunger in our community. Children that lack access to healthy food are more likely to struggle with educational setbacks and further health-related hardships down the line, such as Type 2 diabetes, high blood pressure, heart disease, and obesity. St. Mary’s understands that a regular diet of nutritious food not only helps kids grow, but it also helps them stay alert and focused in the classroom. With the help of our faithful donors, St. Mary’s provides healthy meals to children through school lunch programs and the Backpack Program. One of the core causes of food insecurity is lack of consistent employment. Part of our approach to end this issue is to help individuals find a steady source of employment. 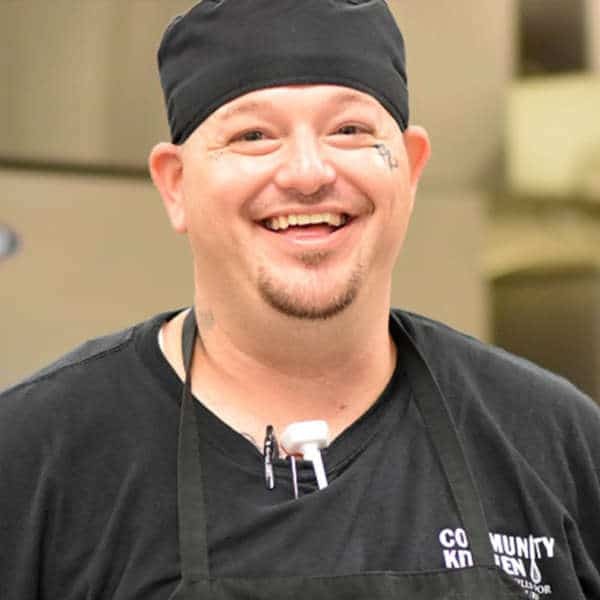 Our Community Kitchen provides food service training to people like Ginger. When Ginger turned to St. Mary’s for help feeding her family, she found a new start in life. As one of the participants in the Community Kitchen program, Ginger is receiving the training she needs to gain regular employment and provide for her children, all the while preparing thousands of meals for those in need of food. 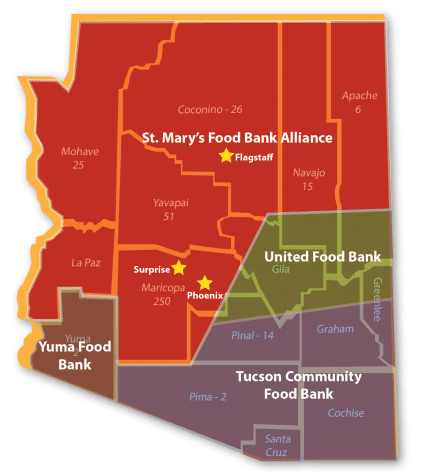 With the support of our generous donors, and the help of nearly 700 partner agencies, St. Mary’s distributes donated food across the state of Arizona. Meet some of the people that have turned to St. Mary’s Food Bank Alliance for help.